Need Opinions! Prado 4.0 or Range Rover Vogue? I am very sorry to hurt your feelings. I request apologies for that. May God bless long and happy live to our elders. It is not merely unreliable. The real talent of the Range Rover brand is that it is an over-priced, unreliable, badly engineered piece of crap that sells more on its carefully nurtured and maintained image that only the gullible can believe in, than any enduring merit of its own. I would also suggest that your passive-agressive tone has been duly noted and will be monitored. Please be careful in the future. You are not the only one here with a grasp of English, economics or engineering amongst other things. Have an '07RRS and a '05TZ4.0. I am in love with driving the Prado on the highway. Do not go for an '03/'04RRV and give up your '05TZ4.0. It makes no sense whatsoever, unless you just want to be seen in a Range. please, go ahead and buy one, only then will you see what we mean. many of my friends have had range rovers adn many times i've seen what happens to these vehicles. Buddy, you have NO idea how many times I send it for the central-locking and other minor electronic glitches. People, listen to this man. He speaks the truth. The Prado is based on different platform and people who call it real Land Cruisers show that they know nothing about them. The name Land Cruiser was attached to the Prado was to boost the sales and for marketing purposes only. About the realibility of RR, I 100% agree with storm. These machines do give problems as some of the family members had them and were tired as hell. On the other side the 1GR-FE is the finest v6 configuration engine ever made by Toyota for SUV applications. Ill say keep the Prado, It might have less glamour then the RR but who cares about the glamour when you are stuck with a broken RR in the middle of the road. MOD EDIT: Comment removed due to irrelevance to thread. 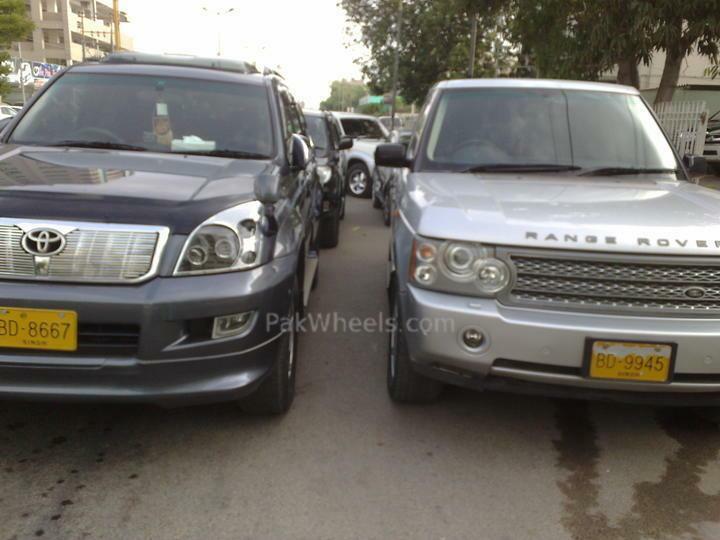 Please comment upon comparisons of the Range Rover and the Prado only as the OP desired. thankyou guys! 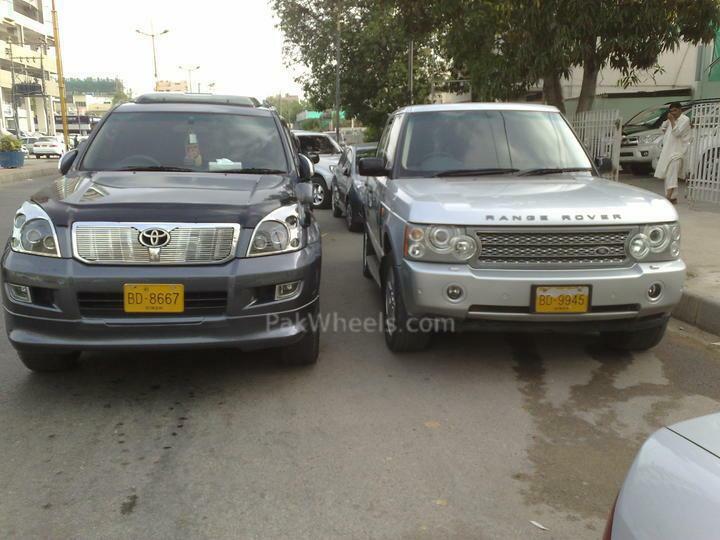 i will stick to my prado only & will go for bmw 6 series directly! speaking of pakistani market - sale value, nothing beats a toyota..
A new RR is pretty much the same - do not try to have them jetwashed inside out everytime is gets a little dusty, and if you only use them for short journeys kiss the entire vehicle good bye. You need to stretch its legs. About the failed brake MC, you will be amazed to know that if you are shipping an RR to a high humidity area or mixed humidity area you need to follow the maintenance plan provided for that place - not the one for UK, that calls for brake fluid replacement every 40K miles, The pakistan maintenance calls for 25K miles if its not changed it will eat away the nicasil polish in the MC and then leak and the fluid proceed to destroy the brake booster too. Congratulations on your decision! May your motoring future hold lots of exciting cars for you, including these. range rover all the way.